If you're looking for a way to earn discounts toward fuel purchases and you like BP gas stations, you may want to consider opening a credit card account specific to the brand. BP offers both a store-specific credit card and a branded Visa card. Both provide opportunities to earn discounts for fuel and other purchases. BP credit cards are issued through Synchrony Bank. You can apply via their online application, or using a paper application that you get from a BP store. When you complete the application, you will be considered for both types of cards. Credit standards for the Visa are more stringent than for the store-specific card. As WalletHub points out, you will need at least a "good" credit score to be considered for either card. Both the store card and the Visa card offer rewards on purchases at BP stores, and the Visa also provides rewards for purchases made elsewhere. Earned rewards can be used one time to buy up to 20 gallons of gas in a single transaction only at a BP station. Credit Sesame indicates "your rewards expire 12 months after the month they're issued." Any rewards that are not used prior to expiration are forfeited. For the first few months you have your BP account, you will earn rewards at a higher level. During a 90-day introductory period, you will earn 25 cents off per gallon of gas for every $100 you spend on all purchases. This applies to both types of cards. ValuePenguin points out that this amounts to approximately 5 percent cash back for the introductory period. After the introductory period, earnings are different for the store card and the Visa card. 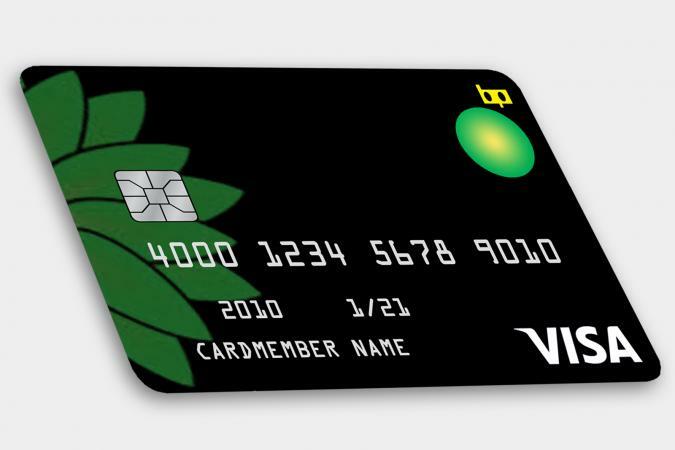 BP Visa: This card can be used anywhere that Visa is accepted. Earn 25 cents off per gallon of gas for every $100 that you spend at a BP station and 5 cents off per gallon of gas for every $100 of purchases made anywhere else. BP store card: This card can only be used at BP gas stations and convenience stores. Earn 10 cents off per gallon of gas for every $100 that you spend at a BP station. It is easy to redeem your rewards earnings as you can do so directly at the pump when you purchase fuel from a BP gas station. Simply specify via the automated payment system that you will be using rewards and swipe your card to redeem. The system will calculate your reduced fee for fuel and you can start pumping using your BP card (or other payment method) to make the current purchase. Credit Sesame points out that your rewards can be used in one-cent increments, and you can't use the rewards to take the purchase price below 10.9 cents per gallon. Any rewards you have in excess of this limit will be rolled over for future use prior to expiration. While there is no annual fee for either type of BP credit account, the interest rate is steep and calculated daily. As of September 2017, the annual percentage rate (APR) on these accounts is prime plus 23.74 percent, so it is important to note that the cost of carrying a balance is tied to the prime rate. The APR for cash advances is higher than the purchase rate (29.99 percent). Interest isn't the only charge associated with cash advances. You will have to pay a fee equal to the greater of $10 or 5 percent of the amount of the advance. The fee for making a late payment can be as much as $38. The only way to avoid incurring interest charges is to avoid cash advances and pay your balance in full each month, prior to the due date. The minimum interest charge is $2 for any billing cycle that you owe interest. While fuel discounts can be appealing if you fill up your car frequently at BP, the high interest rate is an important consideration. Interest charges can easily negate the benefits of any rewards you may earn. It's also important to note that you can only use the rewards you earn to purchase fuel at a BP station. If you would like to earn rewards that can be used for other types of purchases, then you may want to choose a different account.